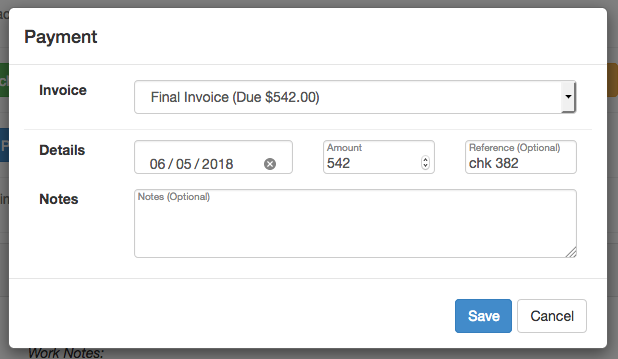 Payments can be applied to a newly created (or existing) invoices by clicking on the green + button in Payments section of a project. 1.) Select the green + button in the Payments section of the project. 2.) Choose the invoice this payment is associated with and Save when finished. Your invoice will now be marked as Paid. If only a partial payment is made, adjust the amount of the payment and make additional payments as necessary until the invoice is paid.